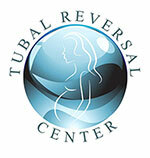 The Tubal Reversal Center offers high precision ultrasound technology in our office. Ultrasounds are a safe and reliable way to help Dr. Morice confirm a pregnancy after tubal ligation reversal and also monitor your baby’s development. Expectant mothers should have an ultrasound as soon as possible after conception. When you become pregnant after your Tubal Reversal, please call our office to schedule an ultrasound. Typically, you will have 2 or 3 more ultrasounds during pregnancy. These allow Dr. Morice to keep a close eye on your growing baby. Our office is equipped with 2D, 3D, and 4D ultrasound capabilities. 2D Ultrasound: A 2D ultrasound is the classic ultrasound that you are used to seeing. These are useful for monitoring development and confirming pregnancy after tubal ligation reversal. 3D Ultrasound: 3D ultrasounds show a 3D image of your baby’s face and body. Many tubal reversal patients love these. They allow your first glance of what your baby looks like! 4D Ultrasound: 4D ultrasound takes 3D ultrasounds one step further by allowing you to see your baby’s movements in real-time. It’s similar to watching a live video of what your baby is doing in the womb. This fosters a deep connection. 4D ultrasounds are another favorite among our patients. Interested in an ultrasound at The Tubal Reversal Center in Morgan City, Louisiana? Call us today at 844-DrMorice or email us at nurse@TubalReversalCenter.com to schedule an appointment.